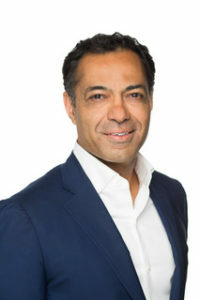 Jai Shekhawat is the founder and former CEO of Fieldglass (now SAP Fieldglass), which he grew to become the world’s largest firm in the fast-growing VMS category. He has been honored for his leadership and success through a variety of personal and company awards, and led Fieldglass through its acquisitions by Madison Dearborn Partners in 2010 and SAP in 2014. Jai serves in various capacities for the Field Museum of Chicago, 1871 (Chicago’s entrepreneurial hub for digital startups), Governor Rauner’s Illinois Council for Innovation, the Commercial Club, the Commonwealth Club of Chicago, Starvest Partners and Madison Dearborn Partners. He currently serves on the Boards of Signal, Semantify, Fleet Complete, HighGround, Utopia, HealthEngine, Four Kites and OfficeLuv along with being an investor and adviser to many high-growth firms. He is also a founding member of the Firestarter Fund, which mentors and invests in Chicago startups.